Many workers in the healthcare industry are susceptible to back injuries. These type of injuries are extremely prevalent in this field. The first step to preventing these type of injuries is to understand what causes them. Back injuries are often caused through progressive wear and tear by performing excessive and repetitive actions. 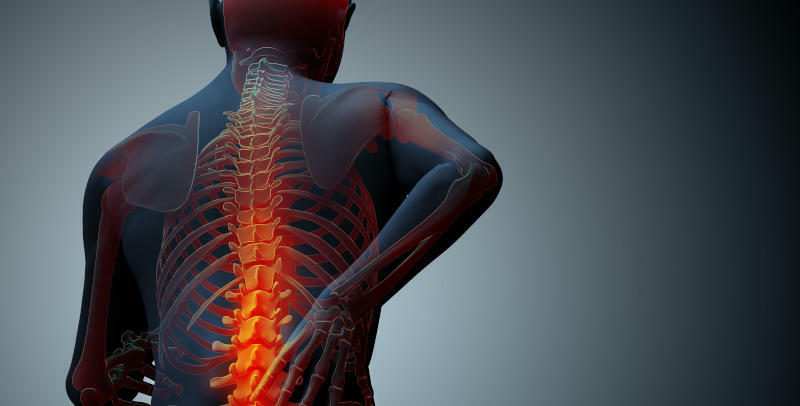 Most of us are aware that it is common to injure our backs by falling or another type of accident; however, many of us are unaware that the most common back injury is caused by lifting and twisting while moving an object of significant weight. Injuries such as these may involve damage to the discs, vertebra or muscles and ligaments in the spine. EMS workers are more prone to back injuries when compared to the general public. ACE (American Council of Exercise) has stated that EMS workers are 7 times more likely to miss work due to a back injury than the average worker. Their report also states that each year, around half of all EMS workers will suffer from some type of back pain. Most of these injuries come as a result of patient transport. These injuries are known to be or become severe. In the first four years of their service, one in four EMTs will fall victim to a career-ending injury, and back injuries are the most prevalent reason many EMTs decide to leave their job, beating out fatigue and stress. Avoid lifting solo. Always lift as a team or with a partner to help lessen the burden. Use the proper lifting techniques. Achieve the proper posture by getting as close to the object you will be lifting, place your feet far enough apart to achieve a stable base if you can align your toes beneath the edges of the gurney or as close to the body board as possible. You should tighten your abdominal muscles and keep your back flat throughout the entire lift. Never lift with your back; use your legs to maintain and complete the lift. Implement lifting assistive devices and equipment whenever possible and available. Lean away from the load and vertically lift as little as necessary. If possible, you should carry or drag the patient a few inches above the ground. When transferring a patient to a gurney avoid going side to side and instead go head to foot or lengthwise. It can be difficult preventing back injuries in the healthcare field. There are numerous times when an accident can happen while lifting or transporting patients. However, if you take your time and play it smart, you can drastically reduce your chances of falling victim to these types of injuries. Remember to always be safe and follow all the proper lifting techniques to avoid any serious damage.